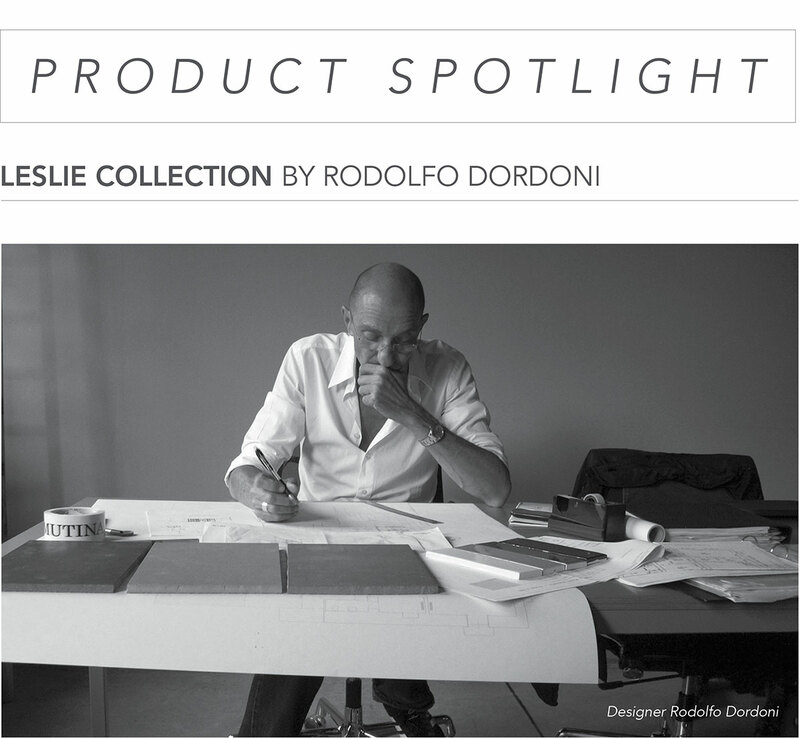 Leslie collection, designed by Rodolfo Dordoni for Minotti, provides a feeling of intimacy and protection while outwardly expressing a formal elegance. 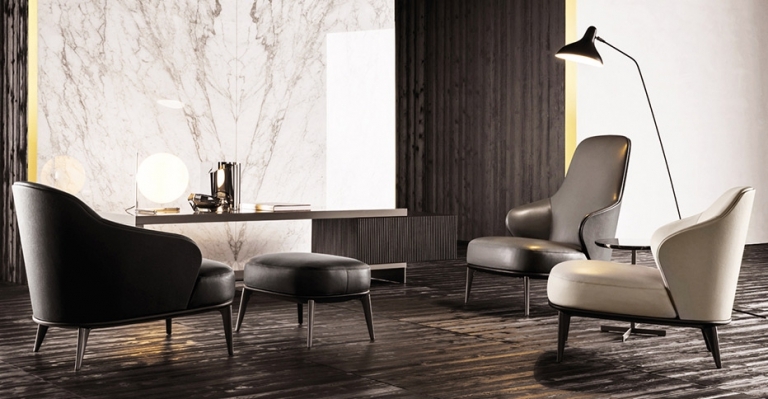 The Leslie series includes a sofa, an armchair with and without armrests and ottoman. 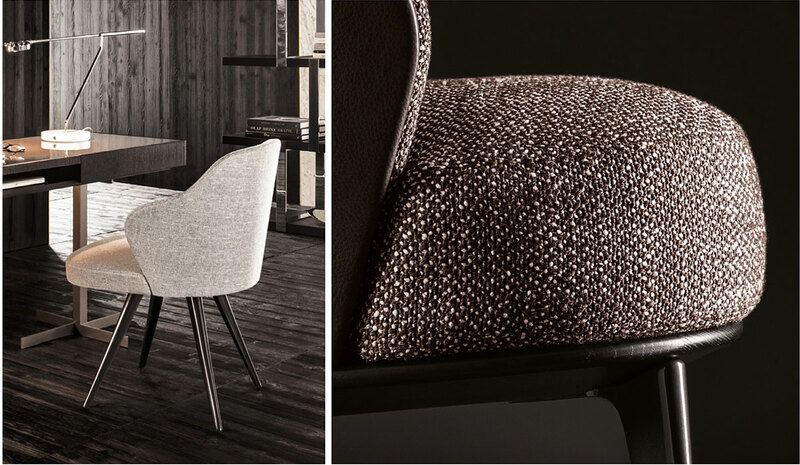 Distinctive features of the Leslie collection are its precise proportions and tailored construction that is evident in the simple perfection of the upholstery that covers the outer and inner shells. 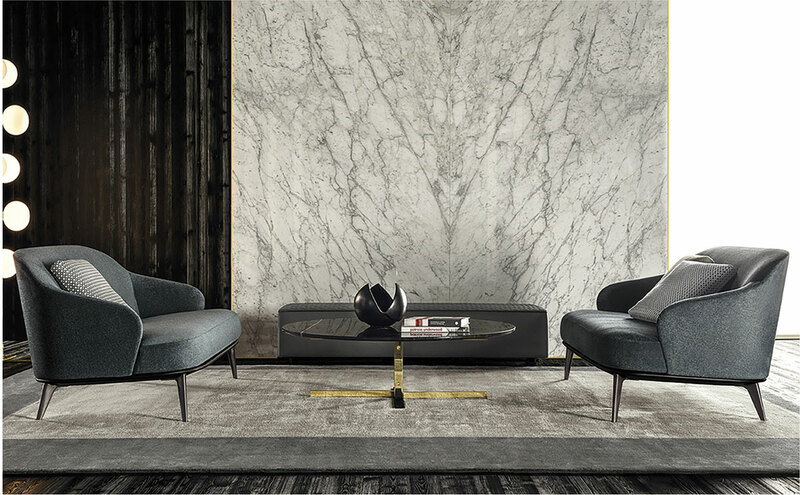 Leslie rests on a solid ash base with a lacquered nish and elegant pewter-colored cast aluminum feet. The Leslie series is extremely customizable. 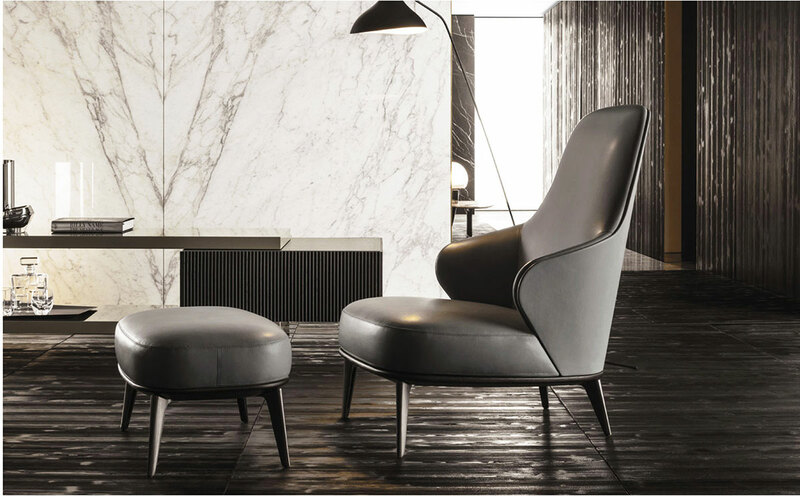 For a re ned all-over material effect, the outer and inner shells can both be upholstered in leather or a striking contrast can be created by mixing the leather covered outer shell with an inner shell in one of the fabrics from the Minotti collection. For more information about the Leslie collection email us at sales@arksf.com or give us a call 415.565.7200.